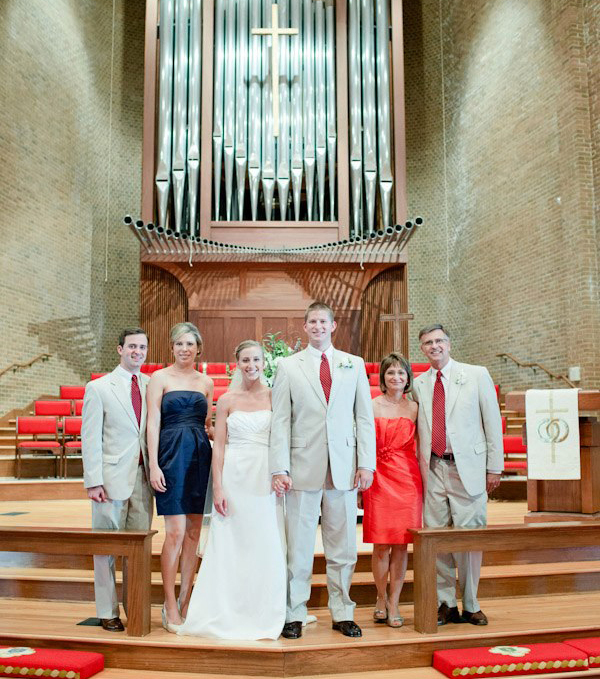 When I was growing up and someone asked me the inevitable Charlotte question – “Where do you go to church?” – my answer always came in two parts. First, I’d say the name, Sharon United Methodist. Then, after my questioner’s face wrinkled and I could tell they weren’t sure what I was talking about, I’d add the key detail. The person’s face would immediately light up. Everyone knew the ski slope. My grandparents were charter members of the church when it was founded in 1966. 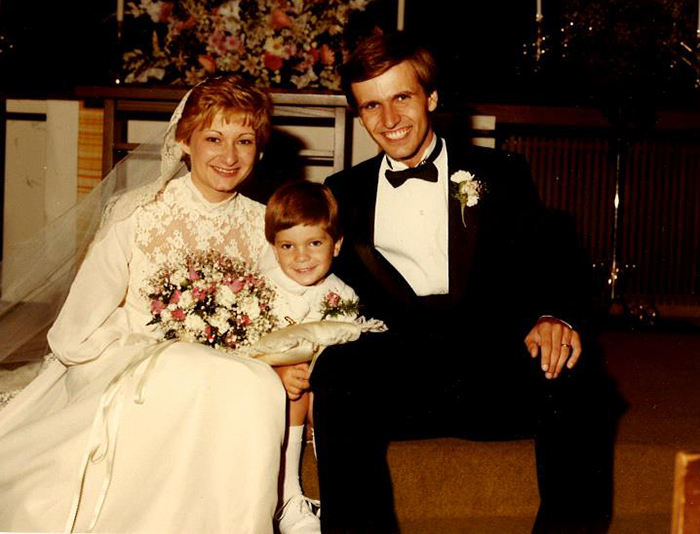 My parents were married in the sanctuary in 1983 and, 29 years later, so was my sister. I was baptized at Sharon and met one of my best friends in Sunday School. So I have mixed feelings about the church’s plan to tear down the ski slope steeple, along with the rest of the building, and redevelop the 8-acre site into a mixed-use campus, with a new Sharon UMC as the anchor tenant. Childress Klein has asked the city for rezoning approval to build nearly 700 residential units, a hotel, retail space and a gym on the property. Sharon calls the project Dream Big SouthPark. The preliminary renderings are beautiful. There’s even a nod to the ski slope on the new church. But it will be different. It will not be the same building. Charlotte often gets dinged for tearing down old buildings instead of preserving them. Even if that stereotype isn’t true, most native Charlotteans have had to watch, at one point or another, as crews demolish a building that holds deep personal sentiment. That’s what will happen for me when they tear down the ski slope. For the first time, a piece of my personal Charlotte history will disappear. Generally, I think development and growth are good for Charlotte. Part of what attracted me to move back to the Queen City in 2012 was the sense that our city is on the cusp of greatness. I tell my friends it’s an amazing time to live here – and it is. But I’ve never had the conflict between progress and history affect me so greatly. The redevelopment project was controversial inside the church. (Southern church politics can be as nuanced as regular politics.) But in the end, a large majority of the congregation, including my parents, voted for the Dream Big plan. 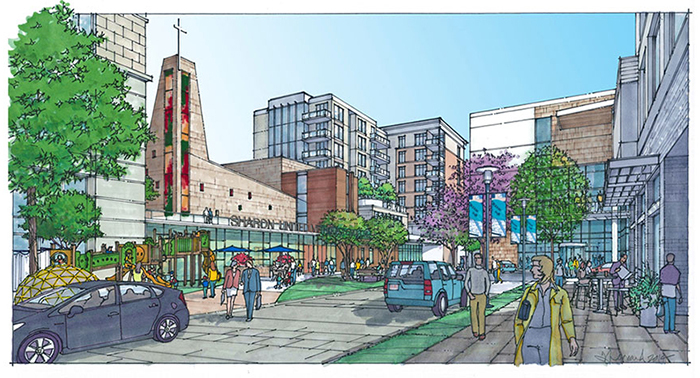 They believe it’s necessary to make the church “the spiritual crossroads of SouthPark.” The new campus, supporters say, will allow Sharon to reach people, particularly busy young professionals like me, who are shopping, working out, and visiting Charlotte for the weekend. As I sat down to write this, I recalled the first stanza of a hymn we used to sing, the lyrics of which turned out to be awfully prescient. I choose to believe a building doesn’t define our history, as people or as a city. After the ski slope comes down, and after the new one goes up, my family’s connection to that place will remain. I suppose she’s seen a lot of change – good and bad – since she moved to Charlotte in the ‘60s. She knows what it feels like to see personal history disappear. She knows that people matter far more than buildings.